1 in 5 trees are now infected with Kauri Dieback Disease. There is no known cure and the disease is fatal. The disease is caused by a tiny spore that lives in soil. It is being moved around tracks in mud on our shoes. You can help. Respect the rāhui and stay away from the Waitākere Ranges to stop the disease from spreading. Kauri dieback disease is killing our trees. No matter how well we clean our shoes, the microscopic spores that cause Kauri Dieback Disease are being moved around tracks in the Waitākere Ranges. Te Kawerau ā Maki have placed a Rāhui over the entire Waitākere Forest (Te Wao Nui o Tiriwa). For the health of the forest, they are asking people to stay away from the bush. The rāhui gives scientists time to develop a solution, and time for our forest to heal. Tiakina Te Wao Nui a Tiriwa, hei oranga mou. If we all take care of the Great Forest of Tiriwa, in return we will all flourish. Kauri dieback disease has spread at an alarming rate through the Waitākere forest (Te Wao Nui a Tiriwa). Our forest is dying. Please help us by making a donation to keep kauri standing. In Māori culture, a rāhui is a form of tapu restricting access to, or use of, an area or resource by unauthorised persons. Often used to protect or exercise guardianship over a treasure or important resource. What area does the rāhui cover? The Waitākere Rāhui only covers the forest, but within the forest all tracks are closed by the rāhui. 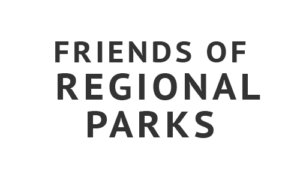 The forest does not include: the roads, beaches, open space land adjacent to beaches, wetlands, lakes, dunes, paddocks, rocks, meadows, grass berms, cafes, the sea, golf courses, houses or surf clubs. A list of alternative tracks and walks can be found here. How long will the rāhui last? Until the track infrastructure and cleaning stations have been upgraded to make them dry, free of mud and get people’s feet off kauri roots. The rāhui will be in place until it is safe for us to go back into the forest without killing the trees. The rāhui is buying time for the forest to heal and for scientists to develop tools to control the disease. A microscopic water mould called Phytophthora agathidicida. It is new to science and lives in the soil and has two forms. The soil form is in tough spores called oospores that can survive in dried soil on boots and equipment for up to 8 years (and counting). It also has a water borne spore with a tail that can swim called a zoospore. However this is short lived and is killed by seawater, but can move through the water film in the soil up to 3m per year. Almost exclusively by soil disturbance. The greater amount of disturbance the greater risk of spread. Large animals like humans & pigs move kilos of soil around the forest on feet and equipment (and in pig guts) and are the primary vectors. Small animals like birds, rats, possums etc move only miniscule amounts of soil and are a negligible risk. Dogs are a moderate risk and should be on leads at all times in forest areas. The water borne zoospore can swim downhill in water films in the soil and in watercourses. The “natural” spread of the disease via water is estimated at 3m per year. By removing the main vector humans from risk areas where there are infected and healthy kauri, in other words keeping people out of kauri forests. This will remove at least 70% of the problem in the Waitakere Ranges. At the same time pigs, the other main vector, need to be eradicated. Fencing off areas of healthy kauri ecosystem to prevent pigs and humans from bringing the disease into them is necessary and a priority. The Tree Council, Waitakere Ranges Protection Society and Friends of Regional Parks welcome the announcement by Minister Megan Woods that the research programme for kauri dieback will now be managed by the Strategic Science Investment Fund. 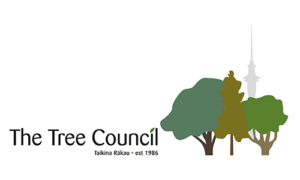 Te Kawerau ā Maki have released a clarification on the area covered by the Waitākere Rāhui to make it clear to residents and visitors that it only covers the forest, but that within the forest all tracks are closed by the rāhui.